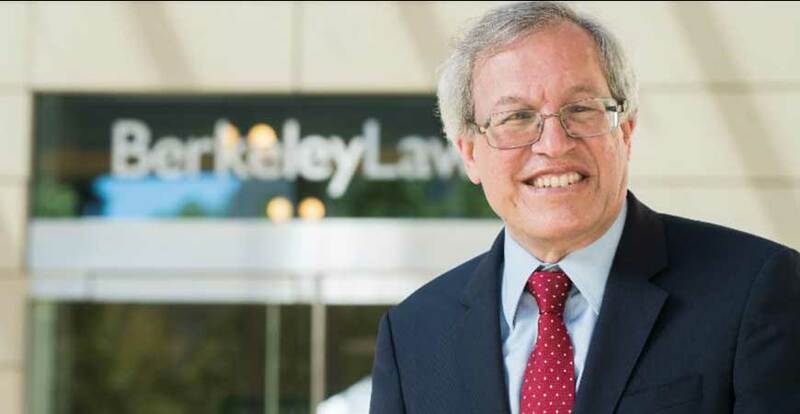 Dean of Berkeley Law Erwin Chemerinsky will speak Tuesday as part of the Chancellor's Dialogue on Diversity and Interdisciplinarity. When does freedom of speech cross the line and become hate speech? What’s considered protected speech? And, how do universities strike the delicate balance between allowing individuals or groups the right to free speech while protecting those who may be harmed or offended by that speech or the way it is expressed? These are some of the complex issues that will be discussed Tuesday, Feb. 13, in the Chancellor’s Dialogue on Diversity and Interdisciplinarity speaker series. Dean of Berkeley Law Erwin Chemerinsky will join a diverse panel of students for a talk entitled “Free Speech on Campus – How Free Is It?” Sociology Professor Nella Van Dyke, whose research focuses on social movements and hate crimes, will moderate the one-hour discussion. The event starts at 4:30 p.m. in Room 110 of Classroom and Office Building 2. A reception will follow in Room 390. Space is limited, so attendees are encouraged to RSVP. Chemerinsky, one of the nation’s leading experts on the First Amendment and free speech, has written 10 books. His 2017 book, “Free Speech on Campus,” was co-written with UC Irvine Chancellor Howard Gillman. The lecture comes at a time when universities are struggling to preserve academic freedom and freedom of speech while protecting marginalized populations from hurtful and intimidating language and actions. Where is the line is between free speech and hate speech, and what can universities do to help of all of their members live, learn and work in an inclusive and respectful community? De Acker, director of UC Merced’s Office of Campus Climate said the lecture will give campus community members a chance to ask Chemerinsky tough questions. The Chancellor’s Dialogue series brings leading scholars to campus to discuss pressing issues confronting higher education today, explicitly linking our core values, such as our Principles of Community, through a series of conversations and public lectures. The lecture series is sponsored by the Office of the Chancellor and the Office of the Provost, with support and assistance from the Office of Campus Climate, to promote the campus's values of diversity and inclusion and interdisciplinary research.